Our spring cleanup service is the process of removing all leaves, branches and other debris that have accumulated over the course of the winter season throughout your property and landscape beds and hauling away the debris from your property. In Michigan, the winters are always different and an early spring is always on everyone’s wish list. The rapidly melting snows along with the cool, overcast, and wet weather bring special conditions that need immediate attention prior to the start of spring. Regardless of the amount of cleanup you did last fall, there is always more to do to get your lawn and landscape ready for the growing season. Spring is a time of rebirth and reawakening from a long Michigan winter's nap. Getting out into the fresh air of spring can do much to revitalize you as well as your plants. Give Pro Cut Lawn Care & Landscape a chance to clean things up and you will be rewarded with a healthier and more vigorous landscape and it will also do wonders for you. Our fall cleanup service is the process of removing all leaves, branches and other debris that have accumulated over the course of the summer season throughout your property and landscape beds and hauling it away from your property. 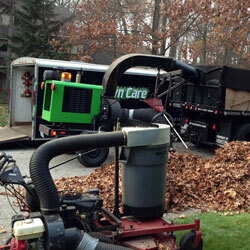 This service is a great way to prepare your lawn and property for the Michigan winter season. We will strive to enhance look of your home or business, making it appealing to your guests or customers. 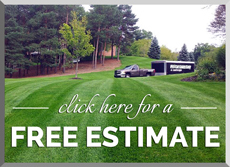 Contact the Lansing lawn care and mowing experts at Pro Cut Lawn Care & Landscape today for a free estimate or call us directly at 877.977.6288.